It’s a case of ignorance versus the experts. I’m referring to the two statements on climate change we’ve seen over the last week. One scoffed at the problem. The other suggested a smart way to fight it. The first — surprise, surprise — came from President Trump. Confusing weather with climate, Trump engaged in a little of the “thinking” so typical of climate-change deniers. Fortunately, even as the federal government has taken a hiatus from climate concerns under a conspiratorialist, evidence-be-damned president poorly equipped for the scientific age, serious people are thinking about what must be done to meet one of the most pressing challenges of our time. Last week, a bipartisan group of economists, some of them past policy-making luminaries, took to the pages of The Wall Street Journal to endorse a carbon tax-and-dividend plan as the best way of combatting climate change. That group includes 15 past chairs of the Council of Economic Advisers, former Federal Reserve Bank chairs Paul Volcker, Alan Greenspan, Ben Bernanke, and Janet Yellen, and 27 (!!) Nobel Prize laureates in economics. Their short statement is required reading for anyone interested in intelligent climate policy. In it, they note that a carbon tax would correct a serious market failure that currently lets carbon-based fuels be used without factoring in the cost of the environmental damage they cause. 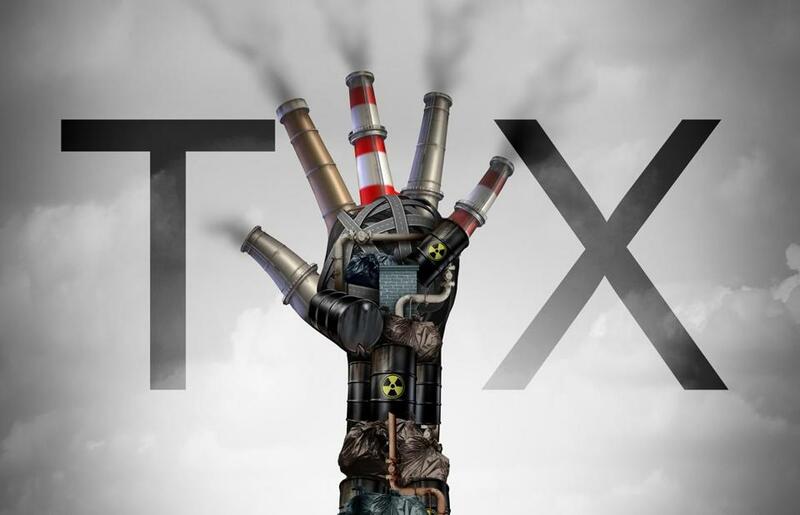 Remedying that market failure with a carbon tax would “send a powerful price signal that harnesses the invisible hand of the marketplace to steer economic actors toward a low-carbon future,” they write. Their system would also address a frequent objection of those who want to stall action: Why should one country act if others won’t? This carbon tax plan would account for that through a border carbon-adjustment system, which would levy a commensurate carbon tariff on goods from countries that didn’t assess such a tax themselves. Thus a nation without a carbon tax couldn’t obtain an unfair market advantage by selling its goods more cheaply. Instead, that leveling levy would encourage industries to strive to be more energy efficient when it comes to carbon-based energy, the economists write. Left unsaid in their statement is this possibility: If a carbon tax became the world’s accepted policy-making tool to fight climate change, and the United States refused to go along, the international community could encourage this country to adopt such a system by imposing a carbon tax tariff on our international products. It would be strange to see things come to that, given that, under President Barack Obama, the United States was instrumental in nudging the rest of the world toward climate action. Still, an intelligently designed carbon tax plan would give the international community a way to deal with any nation that keeps its head stuck in the sand.